Homebuilding and Renovating Show – NEC- 14th TO 17th April 2016! We’re very excited to be exhibiting at the Homebuilding and Renovating Show at the NEC, Birmingham this year! Our professional team with be on hand to showcase our product offering and to answer any questions you may have about using liquid, flowing screeds for your project. We’re also pleased to be able to offer all who are interested in coming to see us on stand G110, complimentary tickets to the show! As part our our current expansion, we have just taken delivery of our new LWB screeding van. It has been sign written and racked and is now ready for work! 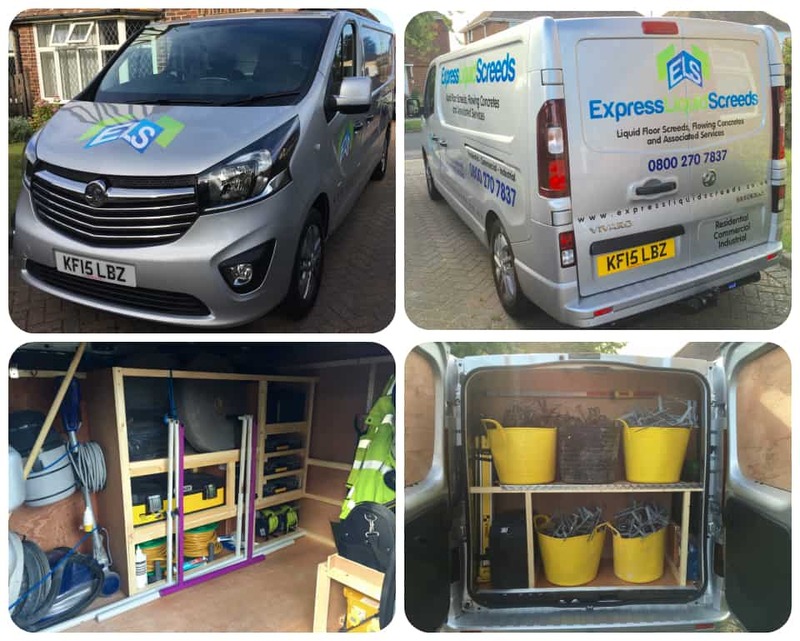 It carries all of the specialist tools and materials required to prepare a floor, install a liquid screed and to remove the laitance /sand the floor following installation. Contact us today to find out more about how liquid screeds can benefit your project!